Valentine’s Day Style! Need an idea for original Valentine’s Day cards for your kids? Check out these super cute Valentine’s Day Hair Clips. Forget the candy! I love ideas for Valentine’s Day cards that ditch the sweets. 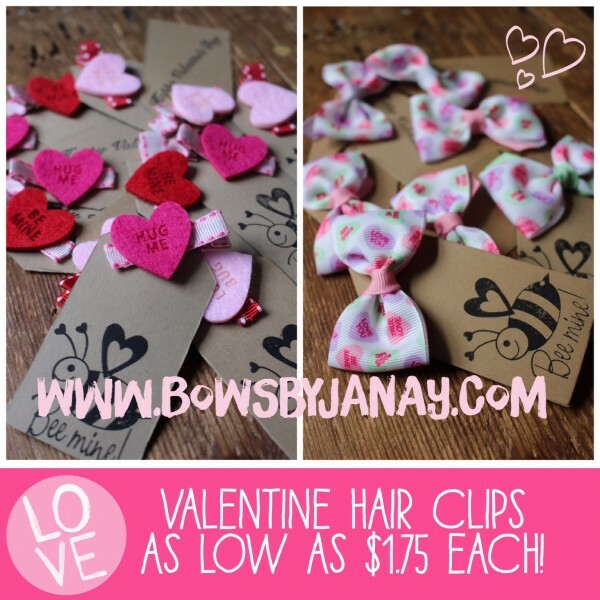 My girlfriend makes these stunning hair bows and hair clips and has adorable styles available for sale this Valentine’s Day that you can buy for your children to give to their classmates. Small clips, bigger bows, and even pony tail holders all themed out for Valentine’s Day. These come attached to a cute card that says “Bee Mine” with a little heart Bee on it too. Kenzie and even little brother Kyle think these will definitely make the coolest Valentine ever for all the girls they will pass cards out to in class. 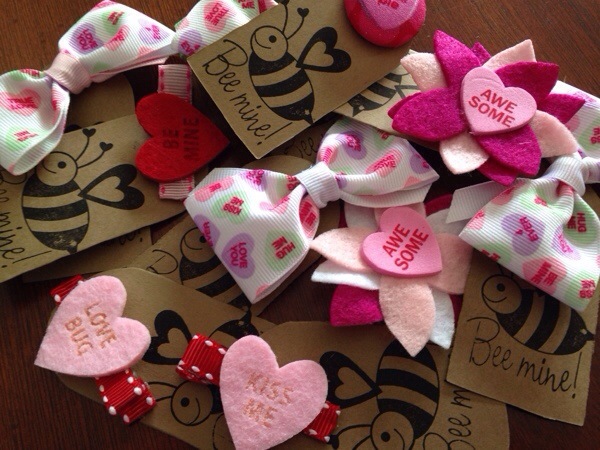 You can snap these up online for your own kids to give out on Valentine’s Day in class here. I absolutely love these. My friend sent us a handful of samples for the kids and they are so excited about giving them out. Kenzie and Kyle will be sharing these with all the girls in their classes this year. I love how there is a huge variety of styles and bows along with various conversation heart phrases and fabrics so the kids can still find a way to make their message unique too.